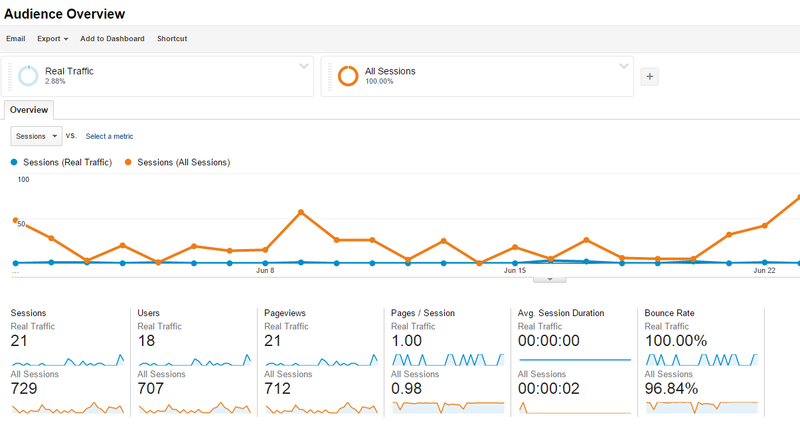 Below are the steps I use to create a new segment in Google Analytics. 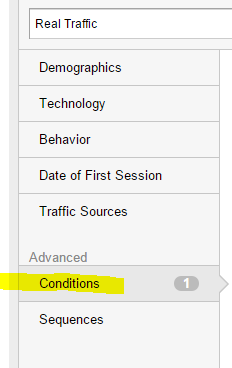 You can use this segment instead of the “All Sessions” default. (I called mine “Real Traffic”, since I’m attempting to keep only actual user visit data). Make sure Sessions and Include is set, then select Hostname and Matches Regex. We’re including multiple domains (your domain and others you want to include (like webcache.googleusercontent.com). Be sure to add your domain to this list! Note: the “|. *” is RegEx for and + starts with. Now the second rule has 2 conditions and is removing the other part of the bad / spam data using referral sources. This is where the action happens and starts to really clean the bad fake traffic. Make sure to set Sessions to Exclude, and use “and” in between the two parts of the condition. That should be it. Save your segment and see if it makes a difference. I prefer this method over filters since it doesn’t remove any data. In some of my test sites, I’m finding 96% of the traffic is fake (below is a comparison).